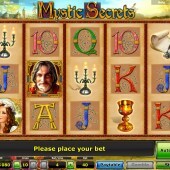 Mystic Secrets is a magical-themed 5-reel,10-payline slot from the minds at online casino slot developer, Novomatic. The slot holds many similarities in appearance to Novomatic’s popular Egyptian slot, Book of Ra Deluxe and the mariner-themed Columbus Deluxe. Novomatic are also very disciplined with how they develop their slots and there are no hidden surprises. Symbols in the game revolve around a mystical book that belongs to a scholar. The Scholar himself represents the Wild and substitutes for all other symbols except for the scatter to complete winning combinations. The scatter symbol is represented by the Mystical Book. If you hit three or more of these scatter symbols across the reels then you will have the pleasure of triggering the free spins bonus round. As with all Novomatic slots, the bonus features are never the most invigorating but they always include a little quirk. In Mystic Secrets, the Wild Scholar symbol can appear as an expanding Wild which gives you the chance to win some big rewards if you manage to hit it. You will initially be given 10 free spins when you enter the free spins bonus round. The free spins cannot be re-triggered which is a shame but the inclusion of the expanding Wild in the free spins gives you a great opportunity to win big without the need for re-triggered free spins. 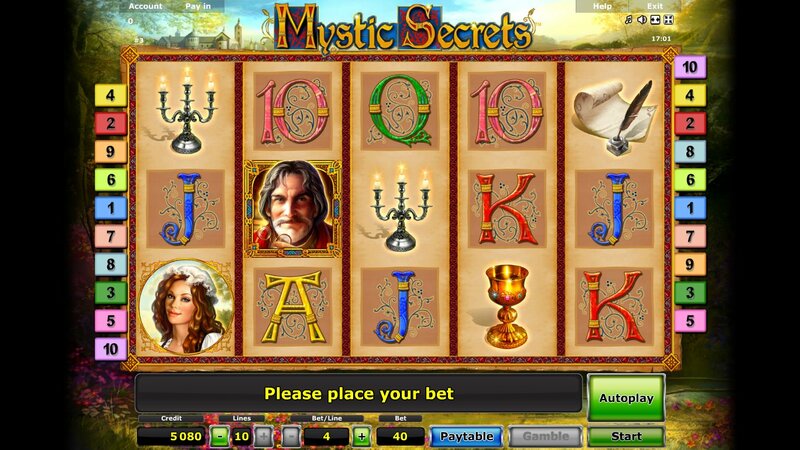 Mystical Secrets is not the most thrilling game on the market and it is a case of getting what you expect with it being a Novomatic slot. You might need some patience to hit the free spins bonus round but once triggered you could be rewarded greatly. Is the game worth a spin? Well, the bonus feature does not set the game alight but it does crank the excitement levels up enough to warrant a closer look.